Poor dental hygiene behaviors raise endocarditis risk in patients with congenital heart disease as they are less likely to floss, brush and visit the dentist than their peers. This was revealed in two studies supervisor by Professor Philip Moons, professor in nursing science at the University of Leuven, Belgium, and guest professor at Copenhagen University Hospital, Denmark. "Patients with congenital heart disease are diagnosed and receive their initial treatment in childhood but this does not mean that they are cured," said, Professor Moons. "They remain vulnerable for developing complications - for instance we know that in patients with congenital heart disease, binge drinking can trigger life-threatening arrhythmias and good dental hygiene helps prevent endocarditis," he stated. For the first study (FPN 34) 1, lifestyle information was collected from 429 adolescents with congenital heart disease aged 14-19 years from the longitudinal study i-DETACH (Information technology Devices and Education program for Transitioning Adolescents with Congenital Heart disease). Of these, 401 were matched with a control of the same age and gender without congenital heart disease. All participants completed a questionnaire, developed by the research group of Professor Moons, which measures the use of alcohol, cigarettes and illicit drugs, dental care and physical activity. These behaviors are particularly important to the health of patients with congenital heart disease. An 'overall health risk score' was calculated using the substance use risk score, dental hygiene risk score, and the absence of physical activity. The 3 risk scores were transformed to a scale ranging from 0 (no risk) to 100 (maximum risk). Scores were compared across different age groups. In adolescents with congenital heart disease, substance use increased with age. Compared with matched controls, adolescents with congenital heart disease had significantly lower substance use and health risk scores, and significantly higher dental hygiene risk scores. "The fact that adolescents with congenital heart disease have better health behavior overall than the general population is understandable given the amount of input they have had from healthcare professionals over their lives. 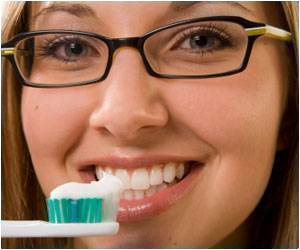 But we need to do more to understand why their dental hygiene is not as good as expected," Professor Moons said. For the second study (FPN 158), the same questionnaire was used to collect lifestyle information from adults aged 16-48 years (average age 24 years) with a type of congenital heart disease called single ventricle physiology. Compared to healthy controls, patients with single ventricle physiology had better health behaviors overall. But patients exercised less and their dental hygiene practices (mainly flossing) was poorer. "Patients with complex conditions can have physical restrictions so the fact that they are less physically active is perhaps not surprising. But the reasons behind the poorer dental hygiene practices of patients in both studies need to be investigated further," noted Professor Moons. In the past, efforts to prevent endocarditis in patients with congenital heart disease focused on taking antibiotics one hour before a dental procedure. This prevented bacteria released into the blood from damaged gums traveling to the heart and causing an infection (endocarditis). But researchers have since discovered that daily dental hygiene is more important for preventing endocarditis than antibiotics before a procedure. Professor Moons said: "This was a change in the American Heart Association 2007 guidelines but not all physicians have switched to that new paradigm. And of course if you switch to that paradigm you also need to educate patients in a systematic way, but a lot of centers are not doing that yet." "Systematic structured patient education on the importance of dental hygiene is critical for preventing endocarditis in patients with congenital heart disease," he added. The findings were presented in two studies at the 12th Annual Spring Meeting on Cardiovascular Nursing, 16-17 March, in Copenhagen, Denmark. Halitosis is an embarrassing condition that affects a person’s self confidence. It is usually caused by bad oral hygiene.